Sulk in the benefits of having Upper and Lower Blepharoplasty, a cosmetic surgical procedure that removes fat deposits, excess tissue, or wrinkles around the eyes, and Rhinoplasty, a treatment that enhances the nose. Both of these exceptional procedures can be combined at the same time for the better. It is an effective practice for surgeons to perform both procedures, concurrently. Combining both procedures will allow instant enrichment of both the eyelids and the nose in just a single stretch of safe treatment. Upper/Lower Blepharoplasty and Rhinoplasty are to be combined and done at the same operative sitting. Usually, Blepharoplasty is the first procedure done to be followed by the Rhinoplasty. The patient will then have a skin pinch of excess upper and lower lid skin along with the nose augmentation. This is a perfect way to get amazing results with fewer administrations of amnesia and a single recovery period. 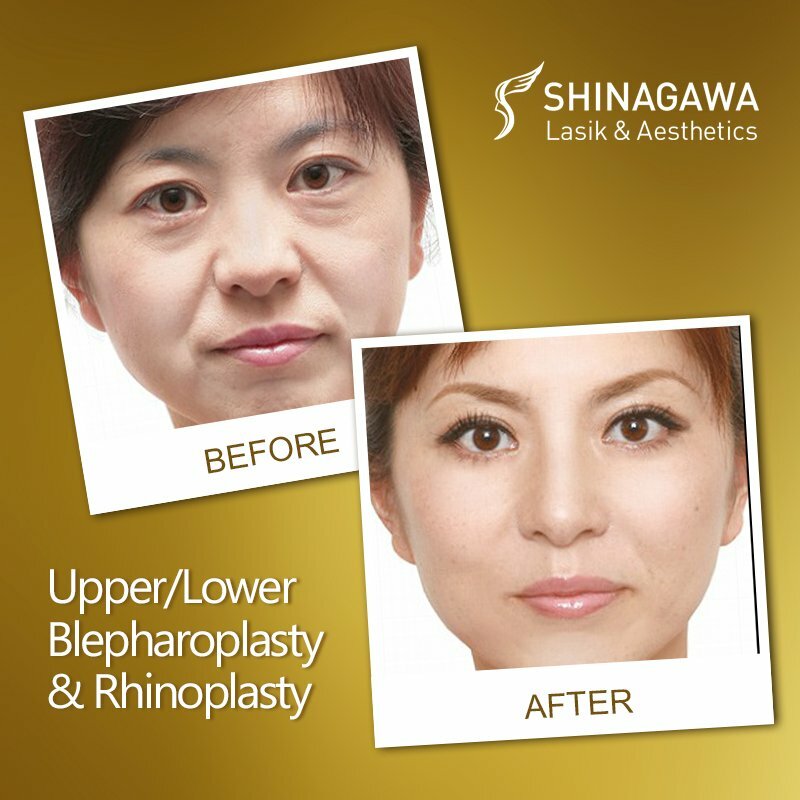 How Can Upper/Lower Blepharoplasty and Rhinoplasty Do Wonders? Combining Upper and Lower Blepharoplasty and Rhinoplasty is like hitting two birds with one stone. This allows a patient to enhance eyelids and nose at the same time through a single sequence of treatment. The ability to provide the patient with asymmetric and well-defined fold in the upper and lower eyelids together with proper nose augmentation is a drastic improvement in the facial features and appearance. The combined treatment actually lasts only an hour or so. In fact, the total duration, in this case, is equivalent to the length of a single procedure and it is an outpatient treatment as well, with the patient being able to go home the same day. The good thing about having the two treatments concurrently is that it allows the patient to have a single recovery period for both. Recovery time lasts approximately two weeks, more or less. The bruising and swelling from both the nose and eyelids usually subside two weeks after the procedure. Blepharoplasty and Rhinoplasty can be combined when there’s a patient looking to do both procedures and is eligible as a good candidate for both. Our Dermatologists are well-trained in conducting this specialized treatment and they will be happy to answer all your queries on the procedure during the consultation to assess if you are a good candidate for this treatment. To know if you’re a fit for it, book a FREE consultation through our Patient Care Lines: (+632) 368 5238 | (+63) 917 862 7454 | (+63) 921 217 0517.